A rich no-bake dessert for your summer evenings! 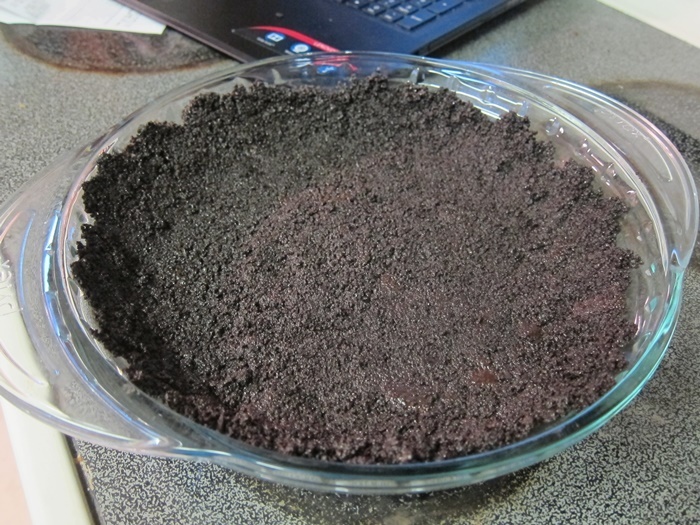 To make the crust, process the wafers in a food processor until finely ground. 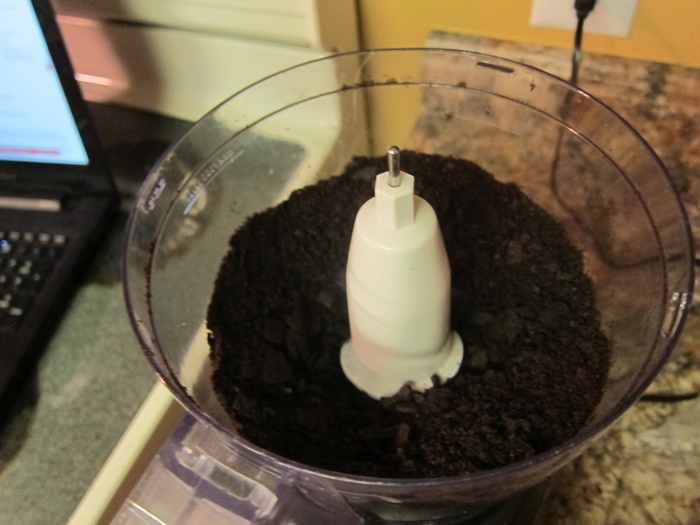 Add the melted chocolate and oil and continue to process until well blended. 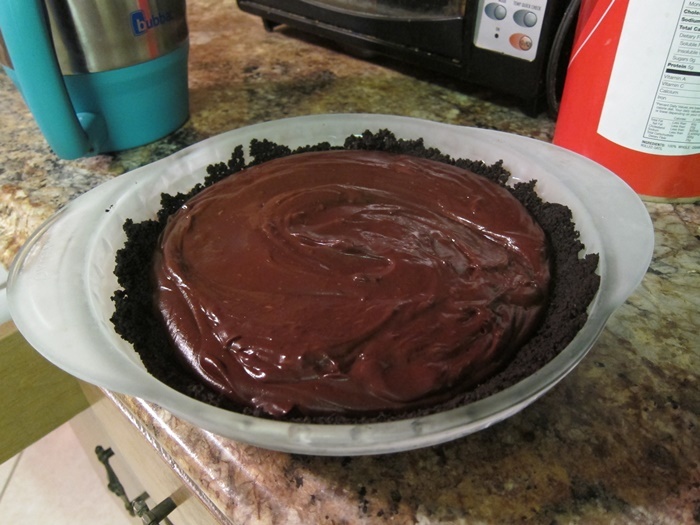 Press into the bottom and sides of a 9″ pie plate. Freeze 15 minutes, or until set. In the meantime, make the filling. Combine the sugar, cornstarch, cocoa, and salt in a large saucepan and whisk well. Add 1 cup of the milk and the egg yolks and whisk until smooth, then whisk in the remaining milk. Cook over medium heat until thickened and bubbly, 5-10 minutes, stirring constantly. 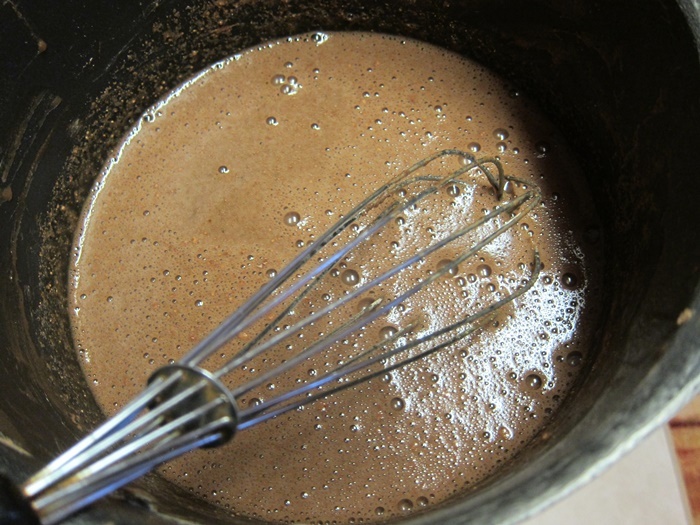 Remove from the heat and add the chocolate, stirring until the chocolate has melted and the mixture is smooth. Stir in the rum or vanilla, then pour into the crust. Cover with saran wrap and chill 4 hours, or until set. 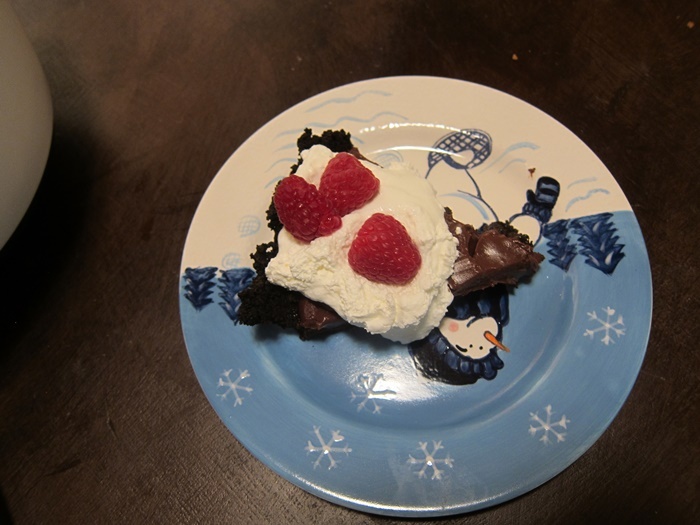 Serve with the berries and whipped cream. 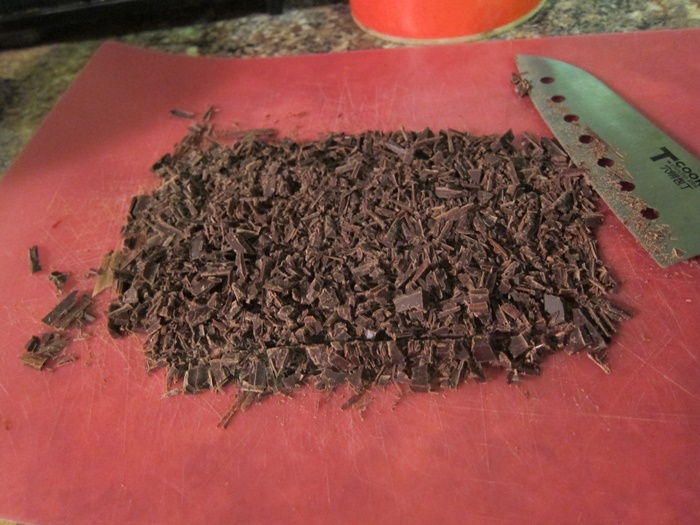 To make the crust, process the wafers in a food processor until finely ground. Add the melted chocolate and oil and continue to process until well blended. 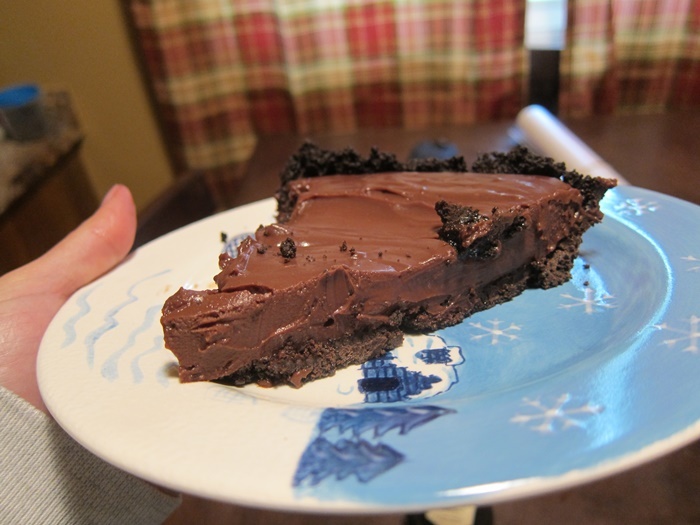 Press into the bottom and sides of a 9″ pie plate. Freeze 15 minutes, or until set. 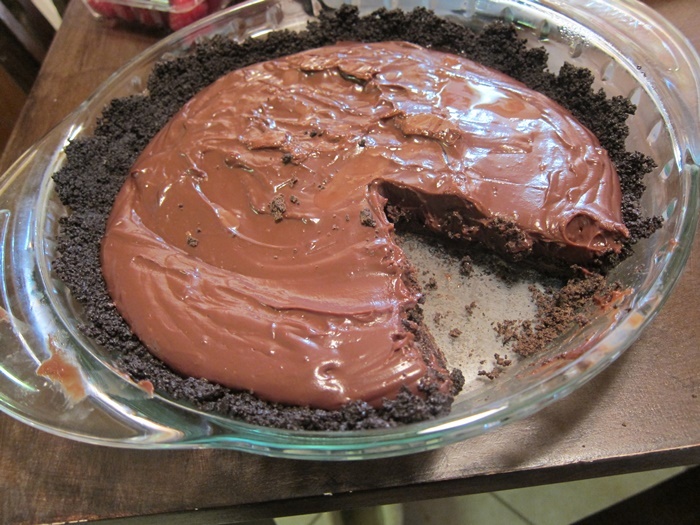 In the meantime, make the filling. Combine the sugar, cornstarch, cocoa, and salt in a large saucepan and whisk well. Add 1 cup of the milk and the egg yolks and whisk until smooth, then whisk in the remaining milk. Cook over medium heat until thickened and bubbly, 5-10 minutes, stirring constantly. 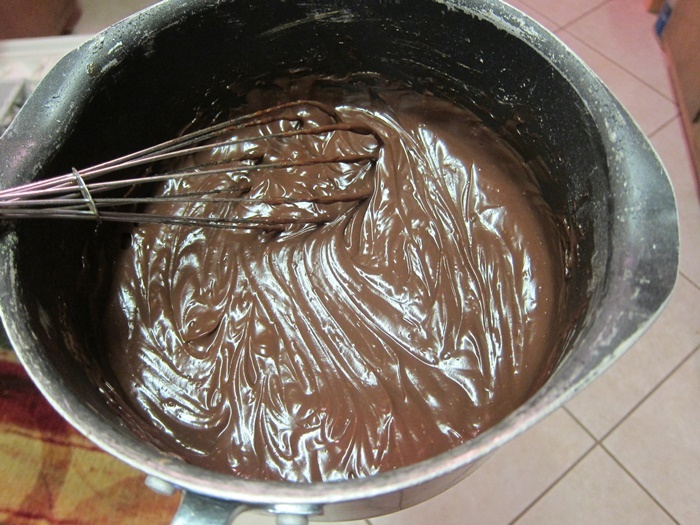 Remove from the heat and add the chocolate, stirring until the chocolate has melted and the mixture is smooth. Stir in the rum or vanilla, then pour into the crust. Cover with saran wrap and chill 4 hours, or until set. Serve with the berries and whipped cream. 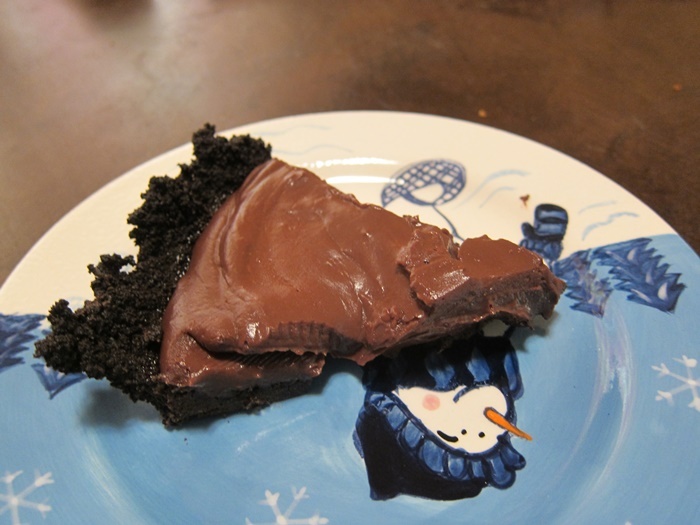 This entry was posted in Dessert and tagged chocolate, chocolate pie, Pie. Bookmark the permalink.